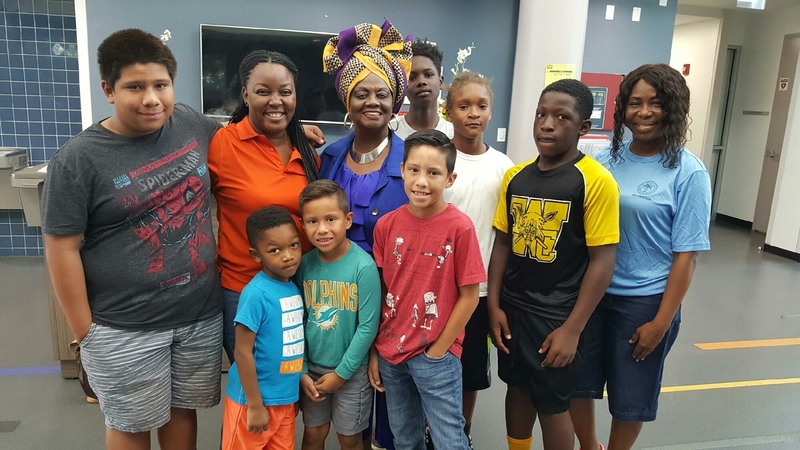 School Board Member Dr. Dorothy Bendross-Mindingall (D-2) spoke about the history of Railroad Shop Colored Addition to students attending the STEM Symposium and Lunch held at Charles Hadley Park’s Sam K. Johnson Youth Center. Thanks to Carollo Engineers, in partnership with the Liberty City Optimist Club, for hosting the Near to Peer presentation for about 100 middle and high school students. This workshop educated kids about wastewater and the importance of clean water to our community.